This weekend at Mobile World Congress 2015, HTC announced their next Android flagship: the HTC One M9. Unveiled at the same time as the new Samsung Galaxy S6 and Galaxy S6 Edge, it was clear that the developers at MWC15 focused heavily on new design aesthetics to attract consumers to these brand-new, crazy-innovative devices. Naturally, you’ll want to protect these beautiful designs with mighty slim protection for your new favorite Android smartphone. That’s what we’re here for. Instead of radically changing their classic One design, this year’s HTC “M9 is more of an evolution than a revolution,” says ZDNet. For one, HTC amped up the rear camera quality and battery life from their previous HTC One (M8) model. Other improvements include quick charging technology, RAM storage, software, and processor upgrades. And thankfully, as Tom’s Guide points out, the rumors of HTC removing its front-facing speakers have been quelled- a new partnership with Dolby reaped its benefits with a 5.1 surround sound and built-in amp included in the One M9’s speakers. Alongside with their latest device, HTC is rolling out a number of accessories like a Rapid Charger, HTC One M9 Car Mount, Battery Bar Power Pack, and a new fitness wearable, HTC Grip (see more at Gotta Be Mobile). Of course, these accessories will only get you so far before you’ll want to turn to military-grade protection to protect your investment. 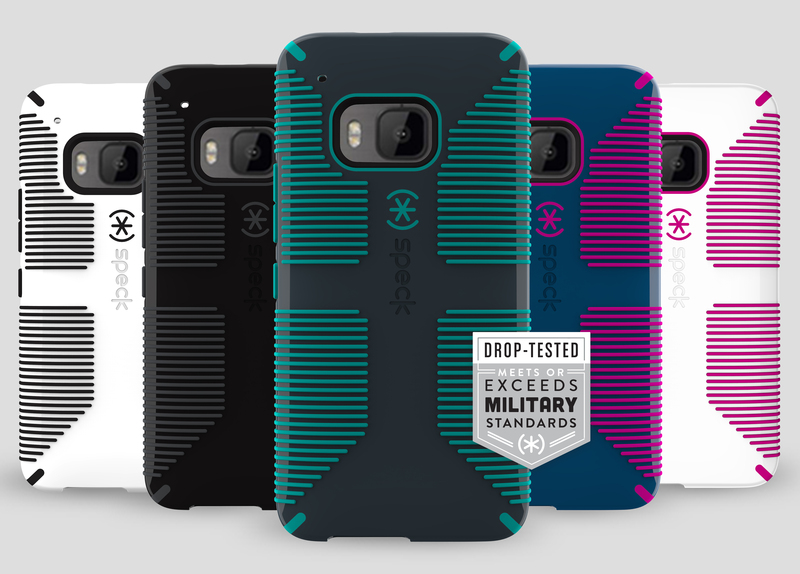 Be sure to check out all of our new HTC One M9 cases, and sign up to be notified for when your favorite color becomes available.